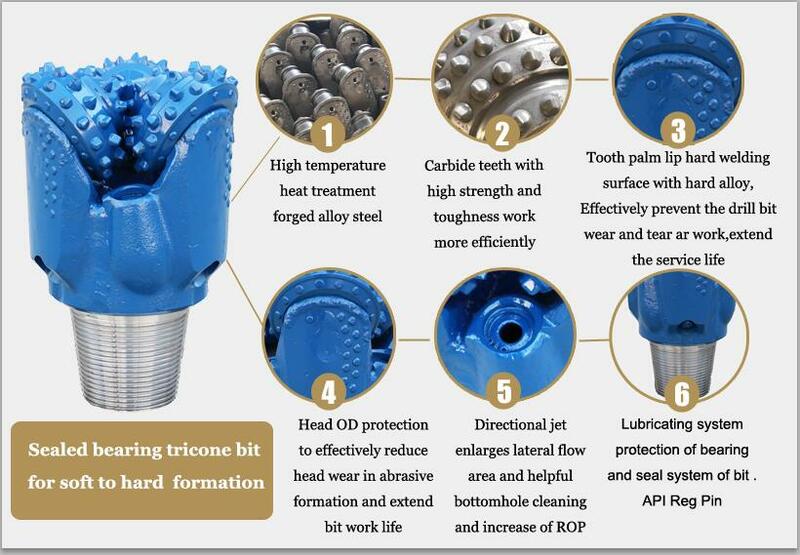 Product categories of Tricone Bit, we are specialized manufacturers from China, Tricone Bit, Tricone Drill Bit suppliers/factory, wholesale high-quality products of Tricone Rock Bit R & D and manufacturing, we have the perfect after-sales service and technical support. Look forward to your cooperation! 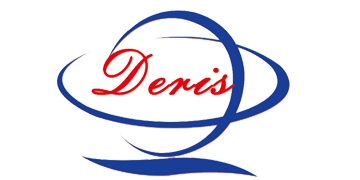 Hejian Deris Both manufacturer and distributor, specialize on Tricone Bit include TCI Tricone Bit ,Steel Tooth Tricone Bit , Tricone Drill Bit , Tricone Rock Bit sealed bearing tricone bit, for Water well, Geology , oil, natural gas ,ore drilling engineering ,piling and trenchless , product marketing the country and 20 countries and regions in the world. .Factory sell directly competitive price . 1. High temperature heat treatment forged alloy steel . First Digit-1,2,3 designate steel tooth bits and the formation being drilled,with 1 for soft,2 for medium,and 3 for hard formations.4,5,6,7,and 8 designate tungsten carbide insert bits and the formation being drilled,with 4 being the softest and 8 the hardest formation. Second Digit-1,2,3 and 4 are further broken down by the formation,with 1 being the softest and 4 the hardest. Third Digit-Classifies the bit according to bearing/seal type and special gauge/wear protection. 1.Open Bearing-On these bits the cones will spin freely.The bit has a front row of ball bearings and a back row of roller bearings. 3.Open Bearing with Gauge Protection-Carbide inserts in the heel of the cone. 4. Sealed Roller Bearing-These bits have an o-ring seal with a grease reservoir for bearing cooling.The seal acts as a barrier against mud and cuttings to protect the bearings. 5.Sealed Roller Bearing with Gauge Protect-Carbide inserts in the heel of the cone. 6.Sealed Journal Roller Bearing-These bits are strictly oil/grease cooled with nose bearings,o-ring seal and a race for maximum performance. 7.Sealed Journal Rolling Bearing with gauge protect-Carbide inserts in the heel of the cone. Fourth Digit-used to indicate additional features.